What a transformation! 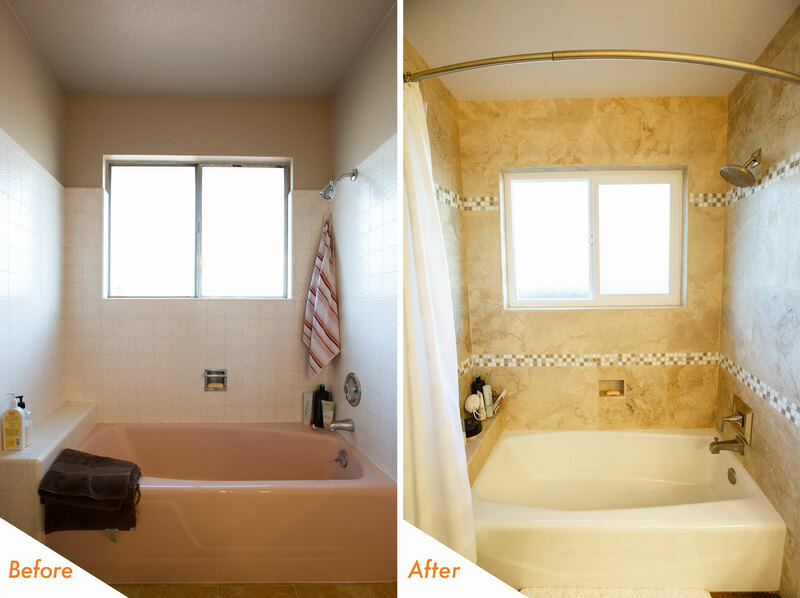 We had a blast on this bathroom remodel in Modesto, and we’re thrilled with the results! Originally built in the 1960s, this home had all the staples from that decade including the pink bathtub. We started the renovation by building a completely custom vanity with shaker door and drawer faces and soft close hinges & drawer glides. The gorgeous new quartz countertop simulates Calcatta Oro marble & goes perfectly with the shower surround. Speaking of the shower, we absolutely love the new travertine tile from Bedrosians that adds the perfect touch of warmth into the space! The marble accent tile strips add a pop of color & ties the countertop design into the shower. Also, the new soaking tub looks quite inviting and the perfect place to relax with a good book and bubbles after a long day! Finally, the wood-simulated floor tile adds an additional layer of warmth to this design and brings a balance to this contemporary, cooler style. Perhaps this bathroom at Strathmore Drive in Modesto reminds you of your home. 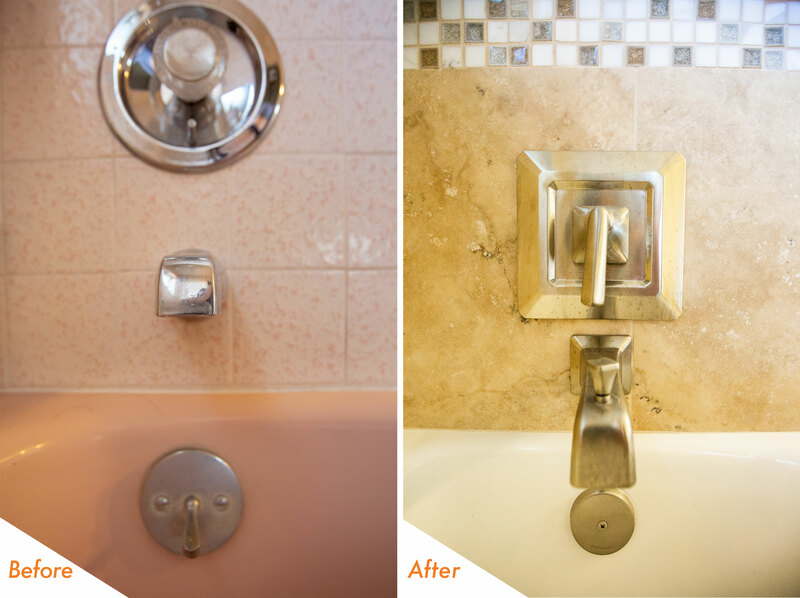 Perhaps you like the layout of your bathroom and the cabinets are in good condition, but you are ready for a completely new look and feel. BathCRATE can make this happen in just a few days.